Around Christmas, I wrote a post about Kentucky Crafted artists who make great things for the holiday table. However, as humans, we eat in groups all year round. And since the summer weather is becoming more tolerable, many Kentuckians are dining al fresco again. 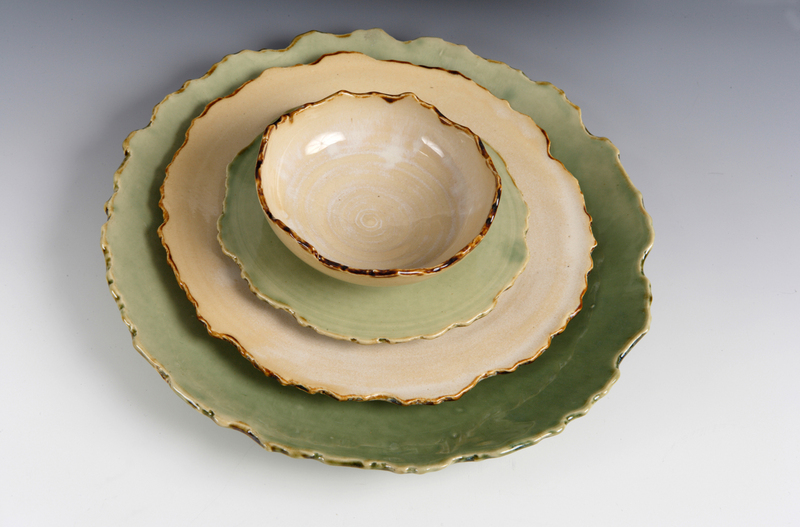 In celebration of people getting together “just because,” here are a few more decorative arts for the the outdoor table. Enjoy quickly before Labor Day! You can rinse and drain your berries, then put them straight on the table with this beautiful and useful strainer. If you have been invited to eat at someone else’s home, the least you can do is bring a bottle of wine or olive oil. 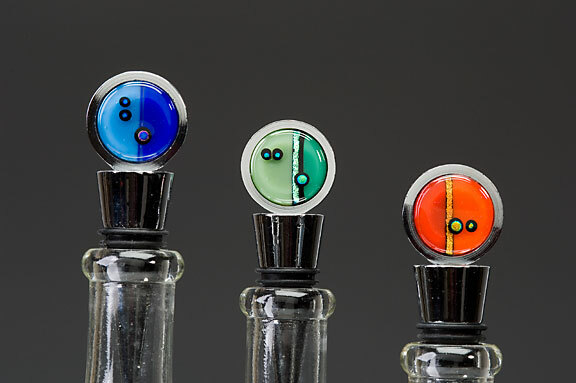 The most you can do is pair it with one of these glass bottle stoppers. This pepper mill is crafted like a beautiful piece of furniture. I can’t condone using that pepper mill to grind spices for food resting on a paper plate. I can definitely imagine that peppermill providing flavor to something on these dishes. It’s an unspoken rule that eating outdoors requires a salad. Whether it is lettuce, pasta, bean or fruit-based, your salad will look delicious in one of the Hoefer’s expertly glazed bowls. When the sun starts to set and the meal has been served, coffee is always a nice way to end the evening. Don’t forget to say thank you to your host or hostess. It’s the best way to ensure that you will be invited back. Love it! I think a lot of thewse Kentucky Crafted artists will be at the Incredible Food Show at the Lexington Center in October. Oh Ed! What a missed opportunity. Yes, there will be Kentucky Crafted artists who make great things to go with food at the Incredible food show on Oct. 27 in Lexington! http://www.incrediblefoodshow.com/.